Copyright ©2009 PopEntertainment.com. All rights reserved. Posted: September 25, 2009. 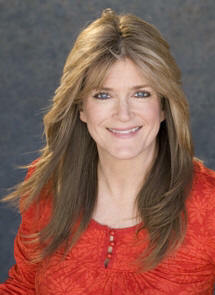 "It was a spectactular turd," says Susan Olsen. She speaks of the infamous Brady Bunch Variety Hour, which inexplicably ran on ABC-TV for a very short time in 1976 and 1977. Olsen played Cindy Brady, the youngest of the clan, on the original series from 1969-1974, and in just about every reunion project since. But she harbors a certain horror for this first Brady reunion, a reincarnation that should have remained deceased. If the original Brady series defied the boundaries of logic, this next series sank the seventies into an even deeper puzzlement. It featured singing and dancing Bradys (even though most of them could not sing and dance), cringe-inducing "comedy" sketches, a "fake" sibling, Rip Taylor, dancing mermaids, watered-down disco music and a leaking pool surrounded by jerry-rigged electrical wiring. The deadly shock of the show did not come from the live wires. 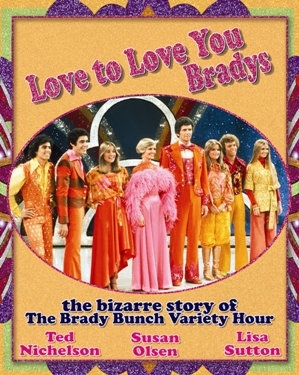 Coinciding with the fortieth anniversary of the debut of the original Brady Bunch sitcom, Olsen has co-authored (along with Ted Nichelson and Lisa Sutton) the new book Love To Love You Bradys: The Bizarre Story of The Brady Bunch Variety Hour (ECW Press). "We're saying that, yeah, the show is bad; we're saying it's a turkey," Olsen says. "But we also don't want to put it down. The book itself is really a labor of love. There is nothing to apologize for now. The show is so spectacularly bizarre that it's something to be proud of." In fact, applying the old standby "it's so bad, it's good," actually works here. Almost. The book refers to "good seeds, rotten fruit," in that bad things happen to good people. Brace yourself, however: if you are not familiar with this space oddity, it will change you forever. "For me, a lot of the variety hour had been kind of blocked out," Olsen says, "but it's important for us to remember the variety hour because if we forget, something like this could happen again." 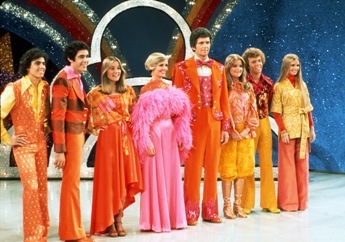 Vaudeville-type entertainment of this type, with tiresome guest stars like Tony Randall and Milton Berle, corny jokes and sequined jumpsuits, was already dying by the late seventies. It was laid to rest by the hip, young, racy, urban humor of NBC's Saturday Night Live. Nevertheless, a desperate ABC smelled ratings, and ordered the Bunch back. At the time, Olsen was a young teen who had returned to "real life" after the cancellation of the original series. She says, "I figured I wouldn't be working again until I was eighteen. Once you get past thirteen, there are enough eighteen-year-olds who can play young. They'll get hired because [producers] don't want to deal with the child labor laws. The closer you get to eighteen, the less hirable you are. So I figured, I'll just kick back and have a normal teenagerhood, and go to high school. "I always went back to real life. I always went back to regular public school when we weren't filming. I did not want to have some kind of weird sheltered life. I was really adamant about it when I was a kid. I think a lot of those [TV actor] kids did not know what it was like to be a teenager because they weren't living as regular teenagers." Yet every time Olsen tried to get out, they kept pulling her back in. "I figured, I'm only fifteen," she says. "Hopefully, I won't be held to this with too much scrutiny. I made my friends promise not to watch it. And, of course they watched it." So did everybody else. The ratings were through the roof. Yet America's initial euphoria of seeing the Bradys reunite ("THE BRADYS ARE BACK!" screamed the ads) faded fast. "I didn't love what I was doing," Olsen recalls. "I didn't love the way I looked or the way I sounded. We weren't called icons yet. The Brady Bunch didn't become cool until the [Brady Bunch satirical movies of the 1990s]. It was something I had felt mildly ashamed of, at least from an artistic perspective. It was not something I could say I was a part of with any pride." The feeling became mutual. The boat sank almost as quickly as it was launched. Nine episodes and out. As Olsen has said, that's eight and a half too many. "I was just hoping that they would concentrate more on the comedy," Olsen says, "because Saturday Night Live had just started. And I was thinking, if only we could move into that kind of material, wouldn't that be wonderful. Of course, we didn't." The cast would get together for many Brady projects in the coming decades, with varied degrees of success. However, for this very first reunion, it was not the Bradys that made us recoil in mortification; it was the disco-fueled material that was thrown at them, and at us. We're all victims here. All of us are Bradys. TV Guide has since christened the series the fourth worst television show of all time, and if you think about it, that's really saying something. "[Producers Sid and Marty Krofft] told us that we were going to sing and dance," Olsen says. "That's what made the whole thing awful to me. 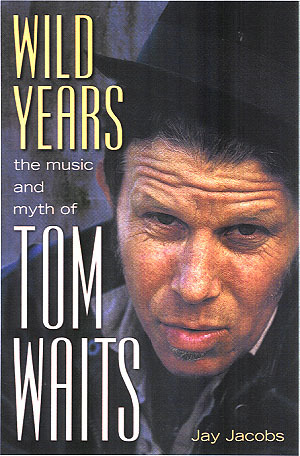 This was the kind of music that I hated with a passion." The Bradys were doing the hustle, literally and figuratively. "At the same time," Olsen says, "The Ramones are playing at CBGBs. Bob Marley was touring then. Right after we wrapped, I saw Led Zeppelin at the [Los Angeles] Forum for the first time. I was a die-hard fan of Emerson, Lake and Palmer. Disco was the last thing on my list. I hated it, and I hated The Donny and Marie Show, and I hated all Sid and Marty Krofft shows. Aesthetically and artistically, I could not have been in a worse place." However, suffering brings family closer together. She remains tight with her cast mates to this day, including actress Geri Reischl, whom pop culture has deemed "Fake Jan."
"When Geri came along, it didn't feel like she was replacing Eve [Plumb, who played the original Jan Brady and did not participate in the variety hour]. Geri made Fake Jan her own. She really did. And I think that most of the audience felt that way too. She just created her own character." As for Eve Plumb, Olsen disputes the widely held belief that she was not a team player. "We really thought that Eve would eventually do it," Olsen says. "While we were working on the variety hour, I once said to Florence [Henderson, who played mother Carol Brady] 'Wouldn't we all be doing something else if we had something else to do?' And if looks could kill! "As for Eve, I was happy for her and I was jealous of her, because she was moving on [she had recently appeared in the landmark TV movie Dawn: Portrait of a Teenage Runaway]. But she did consider doing the show. She did consider it quite seriously, but she could not commit to the number of episodes. When it finally came down to no, she felt bad, although I know that she felt positive about the choices she made. I know that she watched the show and was sort of glad that she didn't have to do what we were doing, but it also really bothered her to see us all together without her. There is the career, and then there is the family. "She really gets a bad rap as being the bitter Brady. She's very much like a sister and very much a part of the family. Career wise, she's made other choices. My biggest sadness, probably, was the fact that she wasn't going to be on the show. 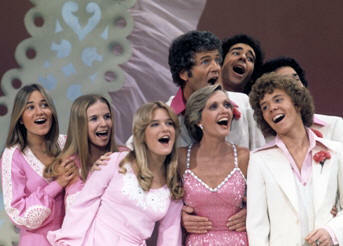 Mike Lookinland [who played Bobby Brady] and Eve Plumb were the two people I was closest to. Eve and I would have been friends regardless of us doing the show together. We just have way too much in common." On TV as in life, all bad things must come to a cancellation, some sooner than others. "After a while, it stopped being fun," Olsen says. "The show probably ended when it should have. It was getting a little more painful." They did give it the old Brady try, though, right up to the pulled plug. 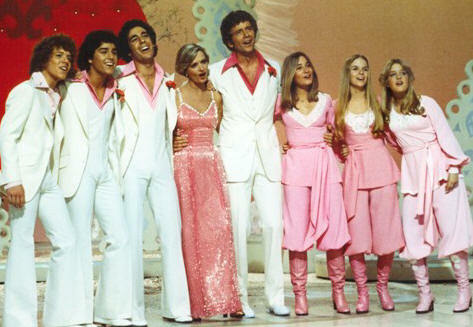 Florence Henderson, the only cast member who had a solid, professional background in song and dance, was the go-to Brady when it came to show time. But even Carol Brady could only be tested so much. "It was sad to see Florence as frustrated as she was," Olsen says. Also serious was Barry Williams, who played Greg Brady and was currently building a career in theatrical musical comedy. "It was right up his alley," Olsen says. "He took it very seriously and he was very good. Barry was very much a perfectionist. He was very motivated to stay focused. "I was not old enough to be paranoid enough to realize that I might not be doing this very well. There wasn't much desire to be that good. But I knew that Florence was good at it and I knew that Barry was good at it, and I knew that I wasn't." Sometimes, though, even the worst experiences can produce a fond memory. The late actor Robert Reed, who played father Mike Brady and was infamous for making his disdain for the show known, seemed to be having a gay old time. "It just goes to show you," Olsen says. "There he was, balking at everything on The Brady Bunch. I mean, he wouldn't participate in a pie throwing, because that would be too undignified for Mike Brady. But he wears a dress on the variety hour. "He was a complicated man, but totally lovable and totally likeable. He actually was a very musical person. He was a brilliant piano player. And he was very serious about it. So doing this disco and dancing, it was very difficult for him. He felt very awkward." Reed, who was closeted for all of his life, was the ultimate irony. America would be in for quite a shock when learning a bit more about its favorite dad. Olsen says, "A part of me loves the fact that Mike Brady was gay, so it's okay. But it was never okay to him. So I was very upset to see [news of his death from complications from AIDS, in 1992] come out the way it did. Now, we finally reached a level of maturity where we can accept it. Back then, people may applaud you for coming out of the closet, but they would never hire you again. "The saddest thing is that he didn't accept it in himself. The saddest thing about Bob is that he didn't allow himself to have a true love. He would have been the greatest partner. He had so many interests and such a love for life. Gosh, it would have been so great to see him settle down with another guy." 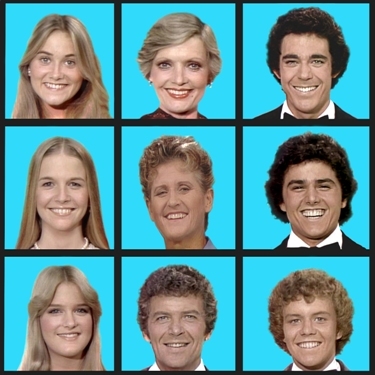 The Brady Bunch phenom in general, with its entire unlikely and unpredictable evolution, is what it is despite what it is. "I think everybody loved the show because they got a feeling that we did love each other," Olsen says. "We literally grew up together. As kids, we went on concert tours together. We were traveling, and coming back for reunion after reunion. That bonded us. We have these feelings for each other because we generally grew up together. When Bob and Florence would walk on a reunion set, I would feel like everything is okay because mom and dad are here." The universality filters down to a simple thought: living and making a living. She says, "As much as I hated the show, and as much as I thought it was horrible, working is always good." We knew when they were on and why they were on. We just didn't know what they were on. For more information about The Brady Bunch Variety Hour and its book, go to www.lovetoloveyoubradys.com, and also find them on Facebook. #1 © 2009. Courtesy of ECW Press. All rights reserved. #2 © 2009. Courtesy of ECW Press. All rights reserved. #3 © 1976. Courtesy of ECW Press. All rights reserved. #4 © 1976. Courtesy of ECW Press. All rights reserved. #5 © 1977. Courtesy of ECW Press. All rights reserved. #6 © 1976. Courtesy of ECW Press. All rights reserved.